As CPUs continue to become smaller, more powerful and more energy efficient, it’s become possible to put some truly powerful hardware into small packages. While that might apply to the likes of smartphones the most, the world of micro-desktop systems has also exploded in recent years and it looks likely to continue to grow apace with the release of Intel’s latest lineup of Skylake processors and chipsets. 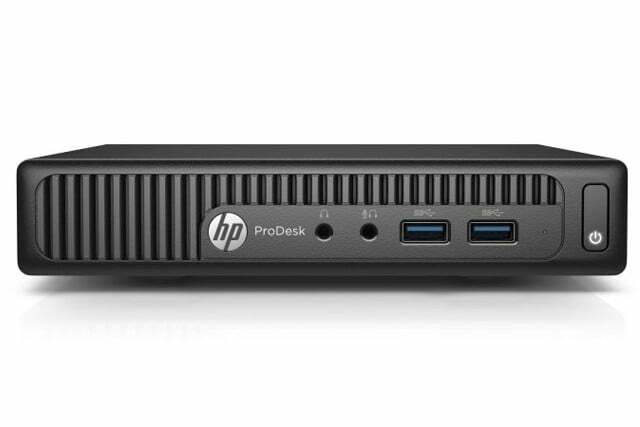 HP is the latest company to jump on that new hardware trend, upgrading its line of ProDesk hardware to incorporate the new chips. 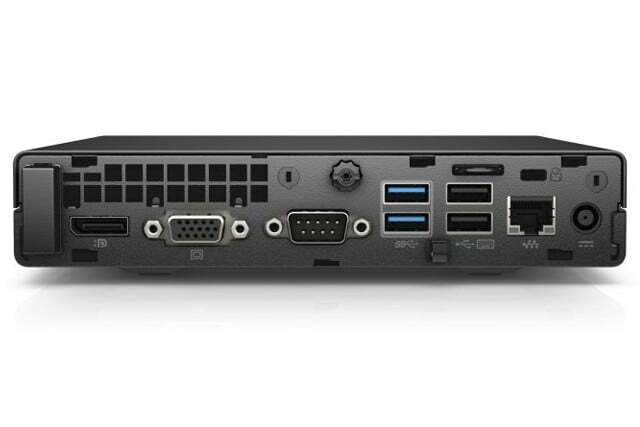 Packing a powerful processor and plenty of memory into a miniature form factor, the ProDesk 400 G2 Desktop Mini utilizes the same highly connective chassis of its G1 predecessors, incorporating four USB 3.0 ports, a pair of USB 2.0 ports, a DisplayPort connector, VGA port, and a serial connector. The back also has an ethernet port for cable-based networking and a pair of front-mounted headphone and mic 3.5mm ports. One noticeable performance-related change is that along with the Skylake upgrade, the ProDesk now supports DDR4 as well, which should see increased bandwidth over previous generations. The ProDesk 400 G2 Mini will be released in October according to Liliputing, however V3 cites sources that suggest there will be one exception. 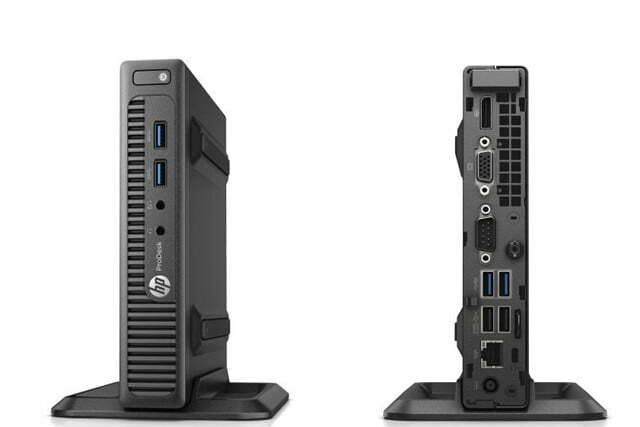 The HP ProDesk 400 “small form factor,” will be released a little later than the others, priced at $550. The same big refresh is taking place in HP’s ProBook range, with the 13.3 inch, 14 inch, and 15.6 inch versions upgrading the internals to Skylake CPUs and motherboards. Much like the micro PCs, these new notebooks have various CPU and storage options, with choices of i3, i5 and i7 processors, though there is also a new ProBook 455 G3 released alongside these lineups, that offers the latest AMD processors too. All come with the same six-cell batteries, offering up to 11 hours of usage. The various screen size configurations also come with different resolution options, with the top end maxing out at a 1080P display. 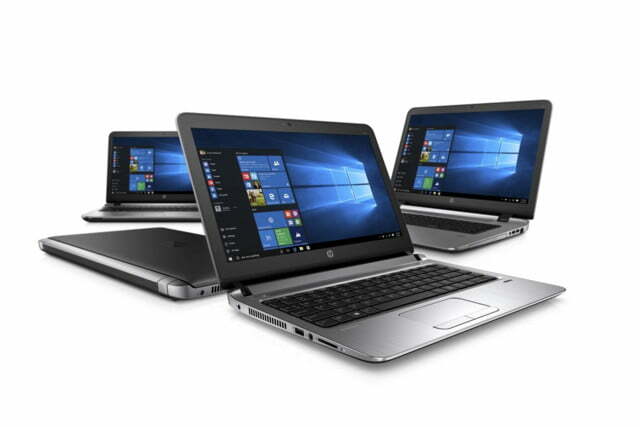 As standard, HP sells these laptops with Windows 10 64bit, though there are options for a Windows 10 Home version and older operating systems like Windows 8.1 and 7.